We grow and produce the award winning oil that puts a smile on your face! We are a family owned Olive Grove located in Mount Barker Western Australia. We run our farm on sustainable principles without the use of chemicals. 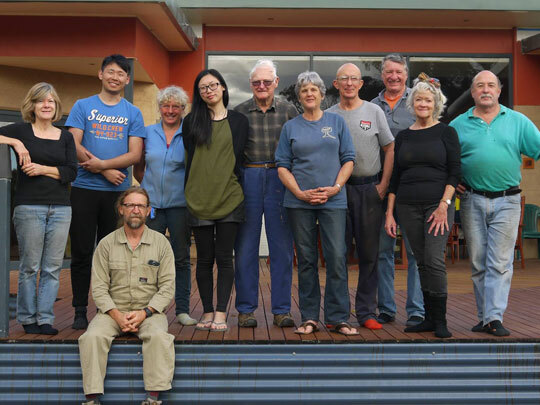 The farm has been designed using a permaculture philosophy to create water harvesting and collection structures, enhanced by extensive plantings of Eucalyptus tree windbreaks. We planted our first olives in 2000 with 1500 Frantoio trees, a (renowned Tuscan variety) with a further 200 in 2005. 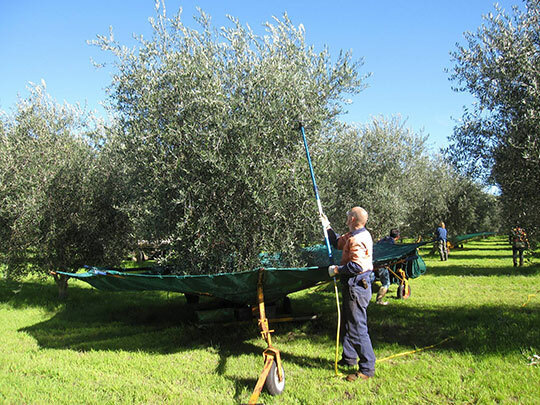 Family and friends gather each harvest time approx June – July to hand harvest our trees using pneumatic rakes and nets to catch the falling olives. We are proud to comply with the HACCP management system and truth in labeling, further ensuring that consumers can buy our products with confidence. We then transport our fruit to a contract press to be pressed within 24hrs of harvest. We immediately store the freshly pressed oil in special stainless steel tanks before immediately packaging and labeling on site. Protective casks similar to wine casks as well as dark glass bottles are then used as we continue to package our products, further protecting the precious oil from light to ensure optimal freshness.